The Association of Florida Colleges is the professional Association for Florida's 28 public community colleges, their Boards, employees, retirees, and associates. The mission of the Association is to actively promote, democratically represent, support, and serve the individual members and institutions in their endeavors to provide their students and the citizens of Florida with the best possible comprehensive community college educational system. Advocacy for you & the Florida College System in the State Capitol. Network with fellow colleagues both from your college and colleges around the state. Unlimited options to enhance your professional skills with leadership role opportunities. Get involved helping others through service projects. All full-time, part-time, and adjunct employees are welcome to join! More details including the agenda and registration form can be found on the Region III webpage. AFC Connections is our private interactive forum. 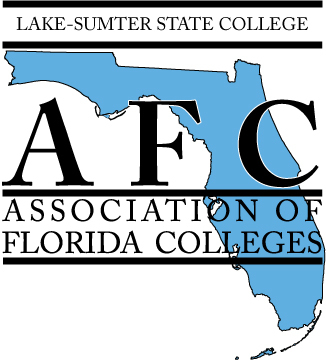 Within this forum, we have the Lake-Sumter State College AFC Chapter Circle. Please join the circle and connect with us today! Scroll down through the circles to find the Lake-Sumter State College AFC Chapter Circle and select it. Click on the plug to be taken to the Lake-Sumter State College AFC Chapter Circle. Click on 'join circle' and the login pop-up box will appear.